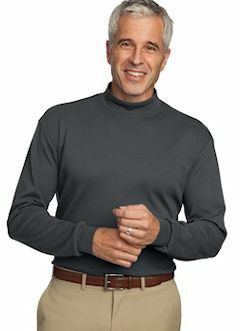 Custom embroidered mock turtlenecks and interlock turtlenecks for your office, business, trade show or casual meetings. 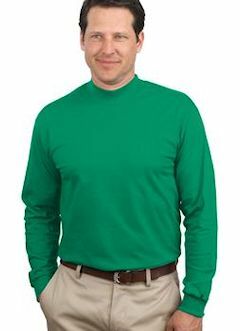 Great for layering under sweaters, fleece or jackets for a professional corporate look! Port and Company along with Port Authority brands. Athletic Heather is 90/10 cotton/poly. Custom embroidery is included!